We want to teach you how to dive the best way possible. We want it to be full of useful information, to be memorable, enjoyable, fun and thorough. We want to include you in a positive learning environment where you will learn through independent study at home using the materials we supply for the course, working directly under the leadership and supervision of our Great Instructors in the Classroom who will pass on their extensive background of scuba diving knowledge and experience, followed by learning essential skills through repetition and practice in the pool sessions to apply in a real world Open Water environment which you will be striving to dive into. To Never Settle for anything less than perfection. Our reputation for Quality, Safety and Excellence in diver education is our #1 priority. Each of our instructors strive to be the best diving educators they can be and each have their own traits that set them apart from each other. The one thing they all share is their love of diving and commitment to the sport and their students well being. Just like every new driver on the road or martial arts student must maintain their skills and knowledge, our divers must maintain their diving skills, knowledge and learning through continuing education, we insist that our instructors continue to learn through the taking of new courses themselves, learning new techniques and maintaining their personal dive fitness and dive skills. Our Instructors have been hand picked by us because they possess exceptional leadership abilities, team working and problem solving skills, a positive attitude, patience, compassion and have put in the time to become a world class diver. All of our staff must keep current with new techniques, changes in equipment, information, training and the most current trends in diving. Our Instructors are True Role Models with Numerous Commendations from our training agencies. Devoting over 95% of our diving career diving on the Pristine Shipwrecks that grace the bottom of the Great Lakes and other local fresh water diving sites has given us real world diving experience, which is just one of the many areas that has set us apart from virtually every other dive training facility past, present and future. Diving is about exploration, adventure, versatility and getting in the water every chance you get anywhere you can. Diving South once a year doesn’t make you a safe diver, it makes you a person holding a certification card and isn’t going to keep your diving skills up to date. By diving on a regular basis with our staff, store sanctioned dives and events, local diving community and through continuing education, you will keep skills sharp, learn more and improve your personal diving techniques. The Social Interaction with our divers will open you up to a new circle of friends and long term bonds and relationships are often formed. Diving will change your life and there is nothing more gratifying to us than keeping you in the world of diving, watching you progress through the ranks and watching your enthusiasm and diving abilities flourish. Dan’s issues a tax receipt upon request for you to obtain an income tax rebate. Come in during tax season and get yours today. A good attitude, the ability to swim at a reasonable comfort level, bathing suit and towel, your own Personal snorkeling equipment including a quality Silicone Mask, Strap Fins, Snorkel and boots to start. 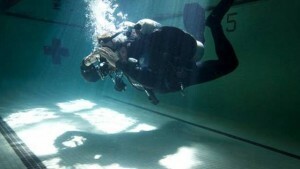 Students who own more than the basic gear often enjoy their training that much more due to the increased comfort of diving in their owned personal equipment. Please click the PDF Link Below for specific details on what snorkelling gear is recommended, as well as some of the additional gear requirements, training and philosophical differences, incentives and more that only DDS provides. We offer the Best Quality rental equipment money can buy in our rental department so rest assured that all of our gear is Safe, Reliable and New. We offer Weeknight and Weekend instruction regularly for your convenience. 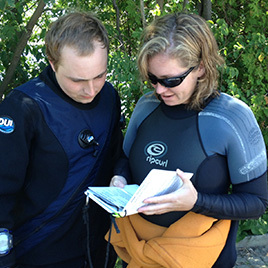 We can also conduct courses in other cities or provinces for groups, clubs and organizations who want the Best Diving Courses in the business. We can also offer you the opportunity to complete some portions of your dive course working around your schedule with one of our Staff Instructors and our PADI Interactive Open Water Program. We want you to view our scuba diving courses as the type of course you can’t live without. Don’t settle for anything less than the best. Dive with us, learn, enjoy and aspire to be the best diver in the water.